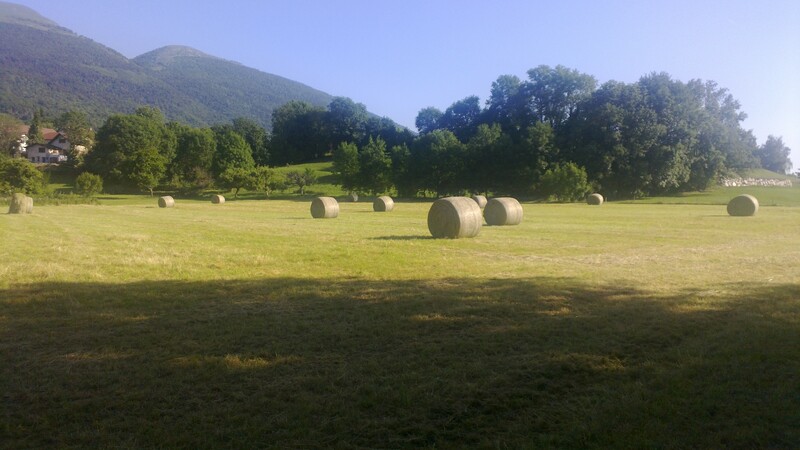 I went running yesterday morning, and my favorite meadow – a field that is left to grow wildflowers and wild grasses – had been harvested. Lucky are the cows that get the harvest from this small meadow. I don’t have a recent photo of the meadow pre-harvest, but there must be dozens of wild flower species growing there during any given spring. I went to a late lunch up in Nyon, Switzerland, and sat at an outdoor cafe on the shores of Lake Geneva. It was hot, muggy, still. As we left, the wind whipped up and we saw a wall of black on the southwest end of the lake. Within minutes, golf-ball sized hailstones were raining down. Fortunately, I was in my car, and parked – and the windshield didn’t break. The storm passed within a few minutes, followed by torrential rain. I decided to try and drive home in spite of all the felled branches and trees, as well as flooded streets. 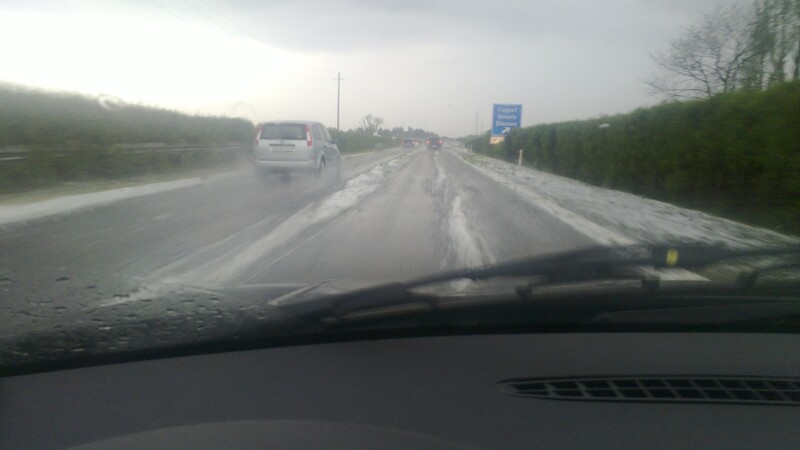 This was what the A1 freeway looked like just after the storm had passed. Like driving on a frozen lawn in a wind tunnel. Cars askew along the side of the road, several vineyards and orchards covered in heavy white – but I didn’t want to slow down and take any proper pictures, I just wanted to get home. I haven’t been in a really big storm for a long time, it’s easy to forget how frightening they are. The flowers here had all just started blooming after a very late spring – a friend in Geneva said the gutters are red with the petals of all the roses. 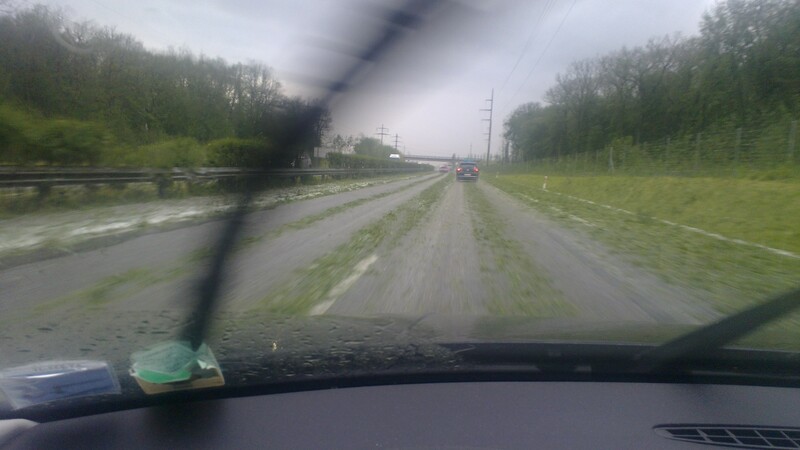 There have been violent storms all across France. And we are wondering, beyond the massive material and agricultural damage, what the bees are going to be using for pollen while the flowers recover. On a side note, happy Summer Solstice!